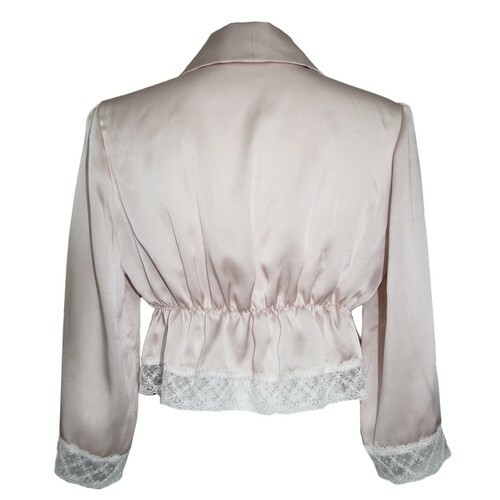 The sleeves and hems are luxuriously decorated with lace. When worn, the beauty of the lace stands out against your skin. The shirring on the waist allows you to upgrade your style. Cropped length, 3/4 sleeves. This classy, shiny silk gown feels soft against your skin and is perfect for spending a relaxing time in your room. Of course you can wear it in a casual coordinate and wear it out on the town too. If you style the Camisole and Harness from the FADE series together, you can create a classic style with a hint of fetish-ness.